Grease, Steam, and Rust Association, Inc.
Larry Carbaugh is the 2018 Grease Steam and Rust Honorary Member! Larry Carbaugh, a 38 year member of the GSR, was awarded the title of Honorary member on the same pulling track the many years ago, he and his family had picked stoned to get it where it is today. He was chosen the year for his selflessness over the years. Carbaugh has been in the local farming business for more then 53 years, operating a dairy farm on Union Church Road from 1964 to 2011, when he retired. However, he can still be seen doing farming in his free time with his John Deere equipment. Larry and his wife, Glenda, share four children, Denise, Jeanne, Christy, and Jason, and nine grandchildren, all of whom live within Franklin and Fulton County. When asked what the family remembers about the GSR and the FFFF, there were many fond memories to choose from, but his daughter, Denise, said, "Dad worked hard seven days a week, 52 weeks a year, and he looked forward to those three days in October. The whole family worked together to get the tractors ready for the FFFF weekend. During the many warm summer days, he worked in the wheat field to sheave wheat, so it could be threshed on the old threshing machine during the festival." 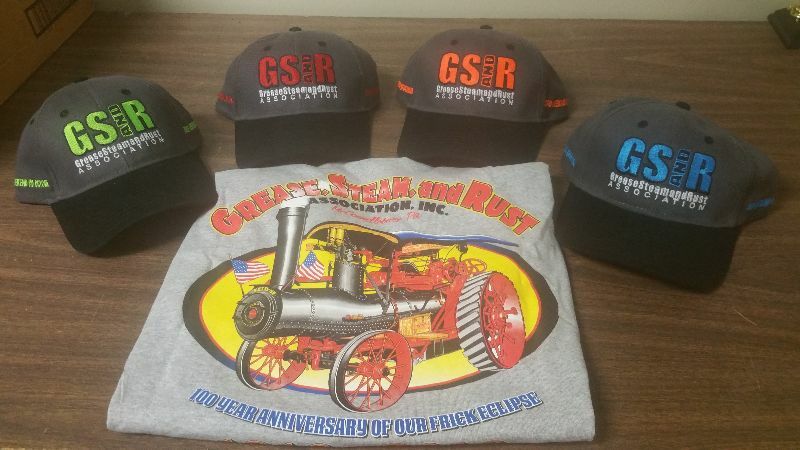 Carbaugh was also responsible for restoring and cleaning several GSR tractors and their machinery. Tracy Deneen's 143 Pound Pumpkin wins at Fall Festival! Get your T's, hats, and Hoodies!! Show your support for the GSR!